In the last quarter of grandma's life, I was her un-official photographer - even before I knew I could be a photographer. She was dazzling to watch and I wanted to capture her personality. 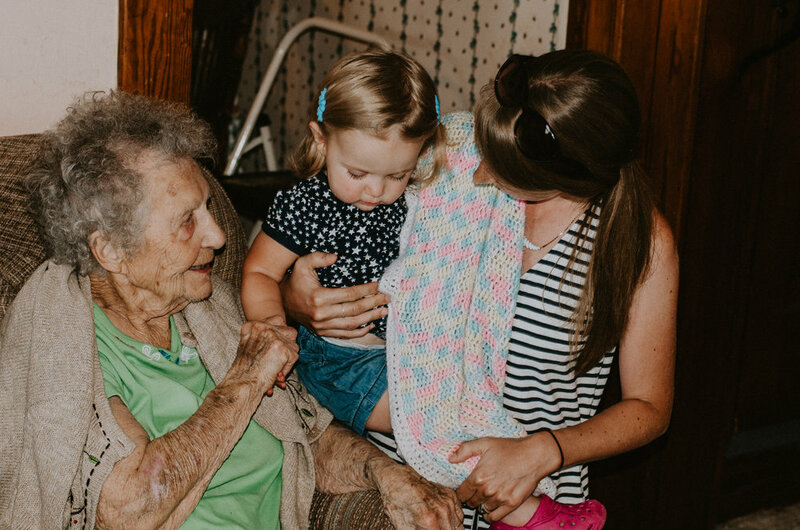 When you came in the room with Grandma Torok, you always knew she was happy to see you, and she had a way of being fully present and making you feel like you were the center of her world. I hope that people will say that about me someday. Her smile radiated warmth and love and her laughter transfigured a room. People are complicated, but I always knew she loved me and that she was for me. From what I can tell, she was equally stubborn and loving her whole life. She was a strong and smart lady, with a quick wit and full of wise-cracks and grit. I’ve struggled to find a set of coherent words about grandma. I remember flashes but struggle to speak to the whole of who she is and what her life meant. Random clips covertly recorded in 2012. She ate lard sandwiches during the Great Depression. She ate onions as if they were apples. She never met a cup of coffee that wasn’t hers. She never met a stranger she would help. Her cookies had surprises in them - chunks of flower or other ingredients that a more patient person would have mixed in, but in her cookies (and bread, etc) they form interesting clumps. Grandma was a fabulous storyteller - She energized a room for over 100 years. It’s the way she knew how to connect with people. She swore and talked directly and punctuated her stories with colorful expressions. Her eyes twinkled with delight as she entered the cadence of her story, recounting the details she was excited to share. My favorite part of grandma’s storytelling is that she always laughed first at the funny parts. She loved to laugh and tease and took all the opportunities she could to do so. Also, her voice was always sounded magical (I once recorded her talking for an hour simply because I liked the way she told stories and laughed). She could never remember the D in my name. "Branon" or "Brannon" but never Brandon. This unique spelling also appeared on Christmas cards and checks. I briefly entertained the idea of naming one of my children "Brannon", but as you know, when we are married and we have to compromise. Her quick mind and strong opinions. Speaking of things that are "kinda funny" - my last substantial conversation Grandma Torok was last year and is a special memory. I introduced her to Rush Limbaugh around 1993 (when I was in my "Jr. Republican" phase in High school) and then lived to regret it as my perspectives on life and politics changed over time. She was quick to kid me about how I had let the “damn liberals” corrupt my mind. As my mom and Aunt Pat watched anxiously, Grandma Torok, my brother Cory and I had a wild conversation touching on politics and religion, immigration, Muslims, LGBTQ, black lives matter, and many more things. We substantially disagree on most of those issues, but we were able to have a real conversation about the finer points and to find common ground we shared, and we agreed in our love for each other. She was witty and sharp and 101. Grandma and Grandpa Torok had a farmhouse in Frankfort Illinois. 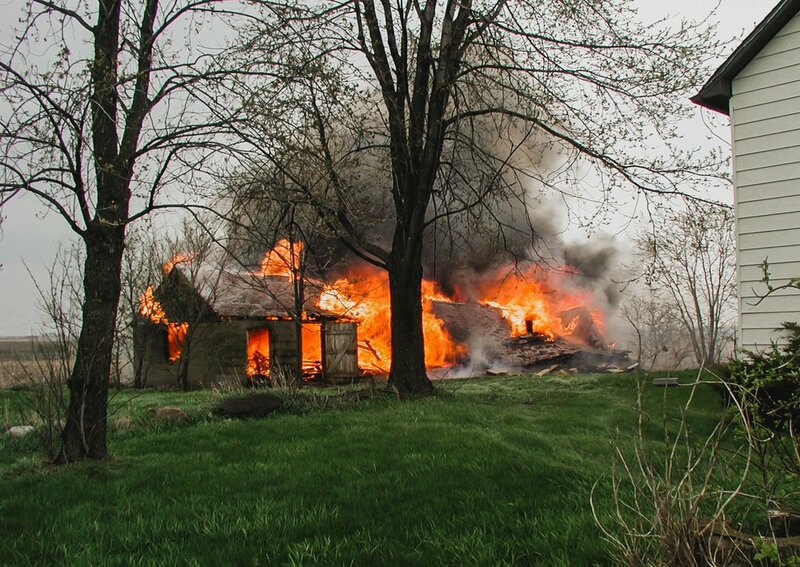 The farm was a magical and exciting place we regularly visited while I was growing up. 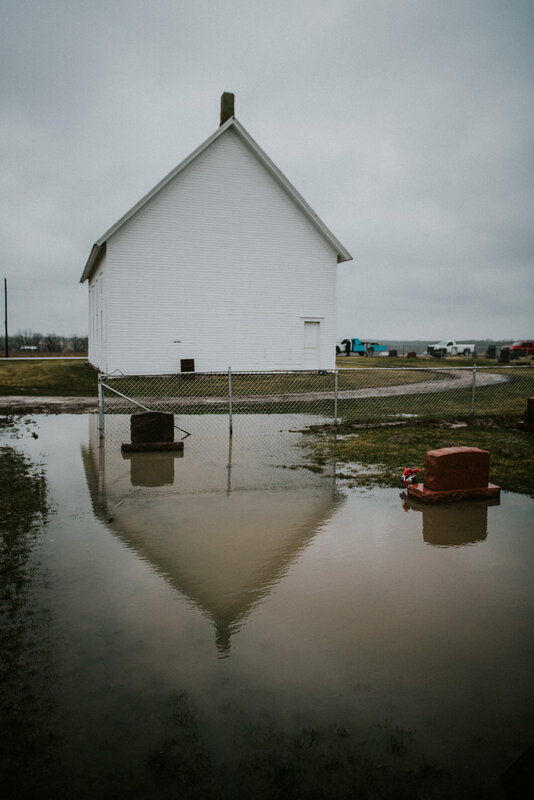 I remember the smell of her old Farmhouse. The texture of the sheets in the bunk beds, all the buildings to explore and adventure to find. I remember fruit trees lining her garden that we would climb. I remember getting paddled for throwing rocks through hundreds of brand new windows in her chicken coop and then years later being the one who burned the building down for her when they were cleaning up the yard. I remember waking up to the sound of the "Morning Babblers" (Grandma and her daughters) sitting in the kitchen at 6 am chatting loudly about all the people they knew and politics and how everyone was doing. Incidentally, I learned about marriage from Grandma too. I remember riding in the car with Frank driving. We came to a R.R. track with the lights and safety bar down, but the train was a long way away and moving slowly. Grumbling under his breath, Grandpa maneuvered around the bar and slipped across the tracks in front of the train. The train wasn’t moving as slow as he estimated, a fact grandma and he “discussed” the rest of the car ride. But they lived life with and for each other, and it is quite a model. I remember her coming to school with me for grandparents day. I was so proud of them being in my class. Grandma and Grandpa adopted any student who didn’t have a grandparent present. We soon had quite a posse. I offered to find her a house in MKE in 2001, and I often wished she had taken me up on it. I even picked out a house for her that was right on my way to work so I could check in on her every day. I remember feeling like out of all of my family - I was special to grandma Torok. She had that effect on people - and I suspect that most of my family felt they were special to her in some way too. Grandma was as tough as nails. I suppose you don't get to 102 without being tough. Late in her 90's she would walk a mile daily to visit Aunt Pat who lived down the road. My cousin Greg remembered that when she was done visiting, Grandma would say, “If I just put one foot in front of the other, I’ll soon be home.” I think this attitude is part of how she lived on her own past 102. She just kept putting one foot in front of the other even when it was hard. Finding the right way to honor a larger than life person like my Grandma is challenging. I’m talking less here about what to say at her funeral and a bit more about how to honor her in the way I live my life. Do I honor Grandma best by following precisely her pattern and preferences and trying to live the life she modeled - and it was a good life. 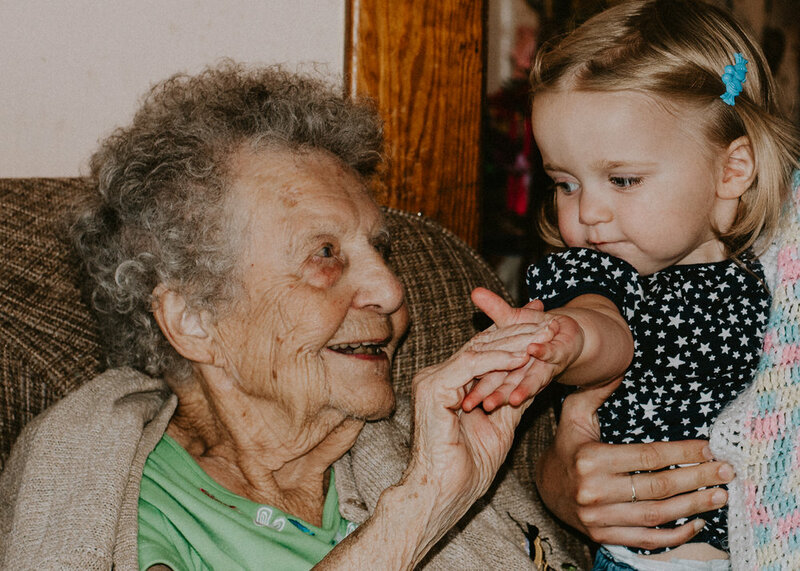 Do I best honor Grandma by receiving the abundant life and love from her and letting her be a light for my path, even if my path takes me a different way? I can see how both might be valid. For many, honoring means continuing in the specific path Dorothy lived. For me, I can’t live grandma’s life. Even if I wanted to, the world grandma grew up in is no longer available to me. I am alive because of her biologically - I share biology with many of you as a result. And, Grandma's love marked me, shaping who I am. I remember what it felt like to be in the room with her. I remember feeling the intensity of her love in her hugs. And yet - as I look through these eyes shaped by Grandma's love both directly and through my mom, I have to be faithful to what these eyes see. Sometimes honoring Grandma means walking a path that takes me to places she might never have gone. I think about this a lot - in part because I have been a pastor and it was my trade to contemplate such things. Also, because I have now lived long enough to experience the pain that follows when the people close to you can no longer recognize your path. 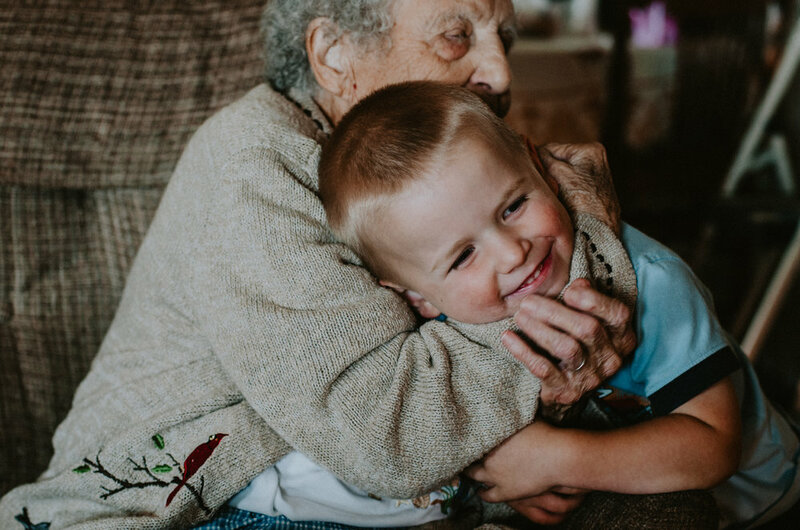 This week I eventually came to this: I guess I’m going to follow grandma by being as strong-willed and mischievous and loving in my convictions as she was in hers. Grandma gave the gift of life to my mom, who gave it to me. My task is to live as fully and truly as I can and to savor the smells and tastes and people and experience. To fully give myself to this life with the sort mischief and presence the I learned from Grandma Torok. 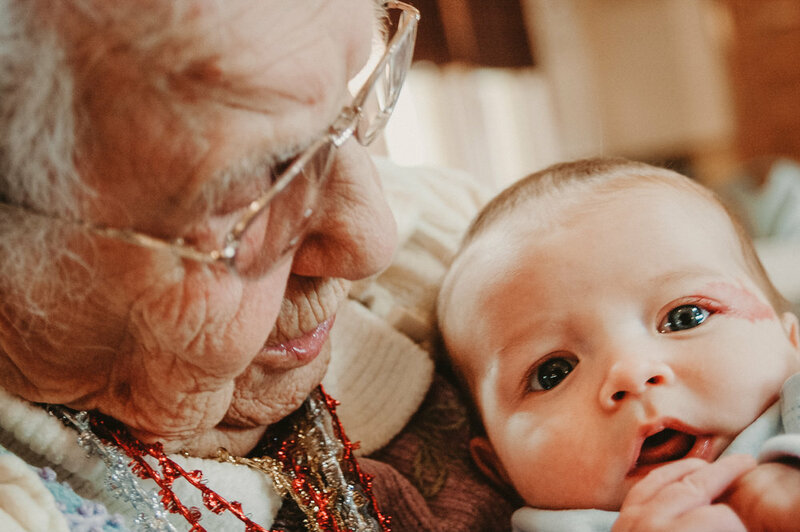 Meanwhile, it’s fun to imagine her current attendants trying to get a word in edgewise as Grandma Dorothy rolls from story to story, filling their ears with stories of her life and family.